Rerun Classic: Personnel File Request? Stay Out Of Trouble. This blog post originally ran in August of 2011. It’s still relevant and hasn’t gone out of style, which to us equals a true Rerun Classic designation. Many employers do not realize that, technically, the personnel “record” may go beyond what is routinely kept in a personnel “file.” Similarly, not everything kept in a personnel file qualifies as a personnel record. The law defines “personnel records” as those documents that have been or are used to make an employment-related decision, or to determine an employee’s qualifications for employment, promotion, additional compensation or termination, or other disciplinary action. Supervisory notes, if relied upon to make personnel decisions can be included as part of the record. To avoid this outcome, be sure supervisors are regularly summarizing their notes into more formal documents which the employee has an opportunity to review. 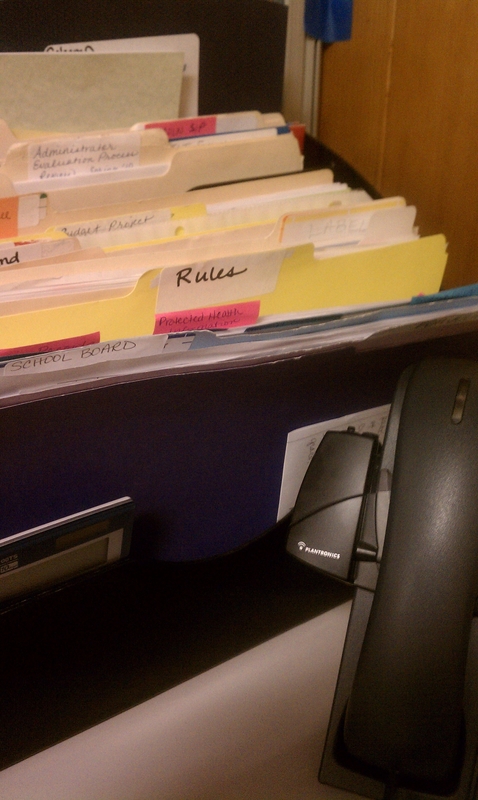 For example, supervisor notes are often the content source for performance evaluations and/or disciplinary notices. Nothing provided to an employee in response to a personnel record request should be a surprise. Records specifically excluded by law relating to conviction, arrest or investigation of conduct constituting a violation of state or federal criminal laws, confidential reports from previous employers, or records maintained in compliance with ORS 351.065 (related to higher education). At an employee’s request, an employer must provide a reasonable opportunity for the employee to inspect his or her personnel file. An employer must also provide the employee with a certified copy of his or her personnel file, upon request. An employer has 45 days to provide the record, and may charge a copying fee that is reasonably calculated to cover actual costs. A terminated employee has the right to receive a certified copy of his or her personnel record for 60 days post-termination, or at any time if the employer still has the records at the time of the request. As you can see, the definition of “record” is broad – it can reach to documents maintained by supervisors, including documents that never make it into the physical file maintained by HR. Don’t forget that virtually everything is subject to discovery in a legal proceeding. Just another reason to train supervisors how to properly, and professionally, maintain employment documentation. Ensure that your policy complies with applicable laws. Define personnel file, both as the term is used within your organization, and according to applicable law. State where, when, how often, and under what circumstances workers can review or copy their files. To maintain the integrity of records, access should be permitted under some type of supervision. Internal Record Review Process: Periodically, you should audit employment records and remove or correct irrelevant, outdated, misleading, or inaccurate information. Next post: Change The Clocks!